The friendly staff. The pool. The location. The shop. The weather!! The beach. The kitchenette in the room. The chilled atmosphere. Everything. Efficiently run by polite, helpful manager. Comfortable beds . 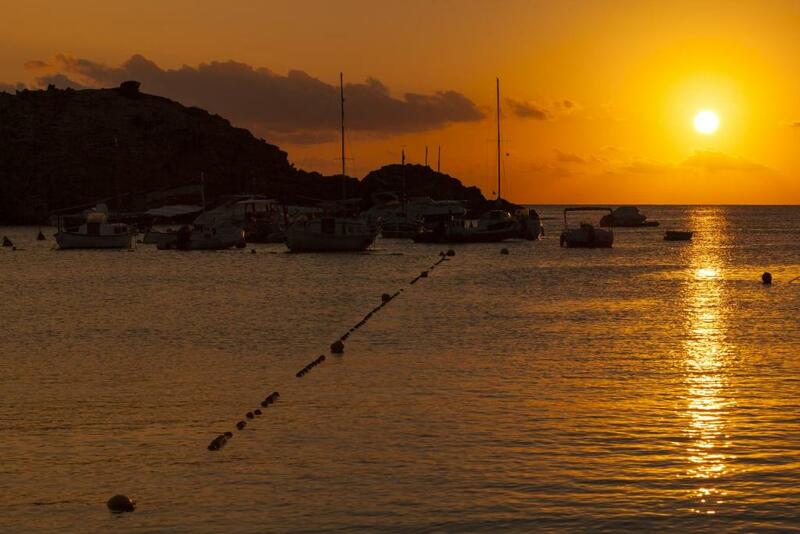 It is located in best beach side of Ibiza (cala vadella). It was very clean, well-organized. I love my stay there. The studio was spacious and modern, well kept and had a great view to the sea and the bay. We liked the modern shower and the maid service every day. The hotel staff was always very friendly. The shop inside the hotel was very practical. Beautiful location, couldn't have asked for better. Very clean both inside apartment and general pool area. Cleaning service everyday which was fantastic. Good sized bedrooms and wardrobe space. Bathroom was luxurious and great shower. Food was good with some good value deals. Kids activities were an unexpectedly expected bonus. Find it difficult to fault anything significant. We just loved it. The location is fantastic and the hotel beside been a bit basic was very good. Lovely place and friendly staff always ready to assist. Beautiful venue and lots to see and do. Great location right on the beach. Apartments are large and comfortable. 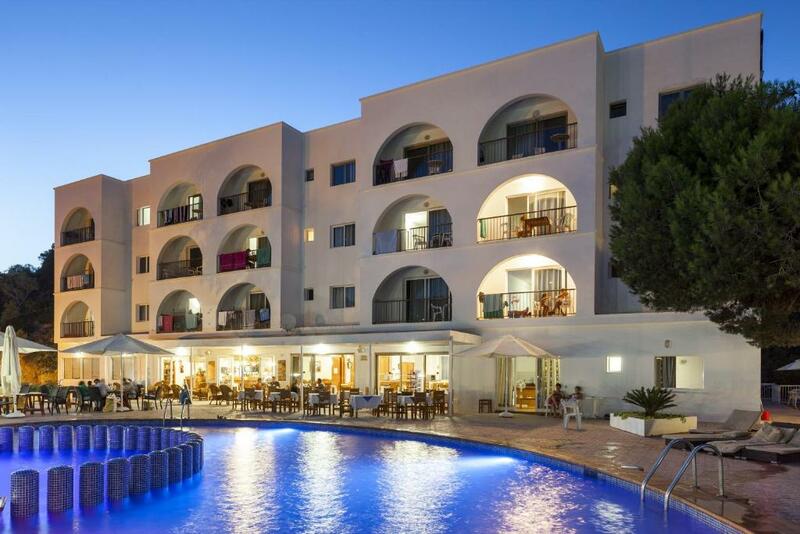 Lock in a great price for Aparthotel Puerto Cala Vadella – rated 8.5 by recent guests! 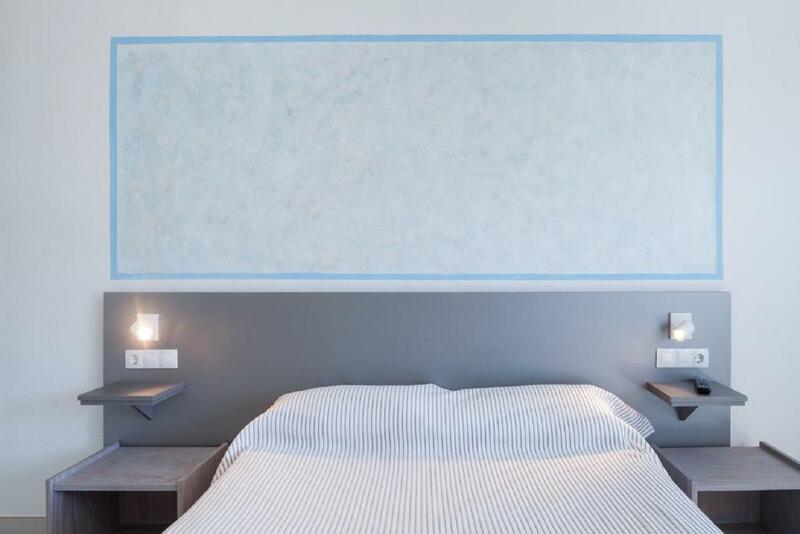 Aparthotel Puerto Cala Vadella This rating is a reflection of how the property compares to the industry standard when it comes to price, facilities and services available. It's based on a self-evaluation by the property. Use this rating to help choose your stay! 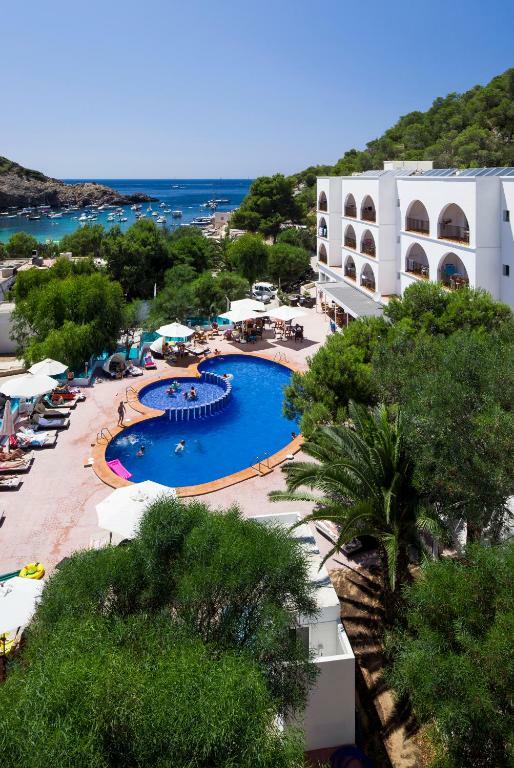 One of our top picks in Cala Vadella.Set overlooking the charming cove beach of Cala Vadella, on the sunny island of Ibiza, the Puerto Cala Vadella provides well-equipped apartments ideal for a family break in the sunshine. 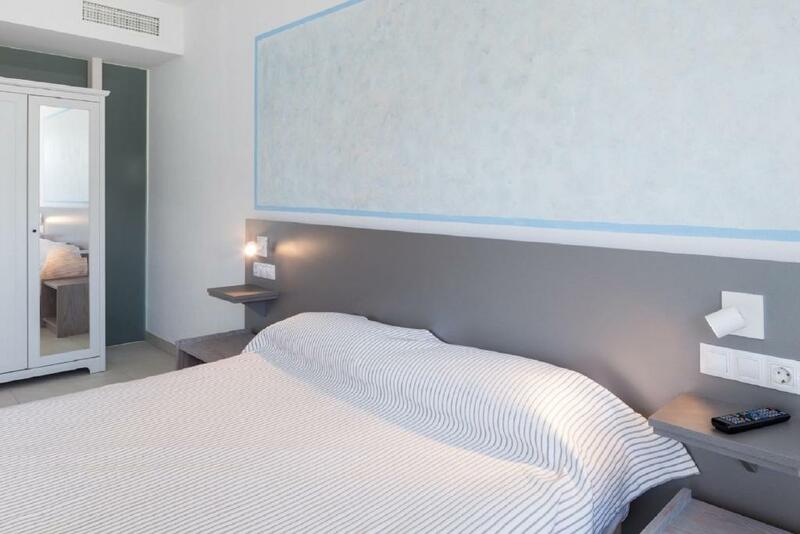 Each of the apartments in Aparthotel Puerto Cala Vadella boasts a kitchen, where you can prepare your own meals with the whole family. Spend the day relaxing by the swimming pool, soaking up the sunshine. Head to the on-site restaurant in the evening, where you can sample local-style cuisine. Then, follow your meal with a drink in Puerto Cala Vadellas bar. 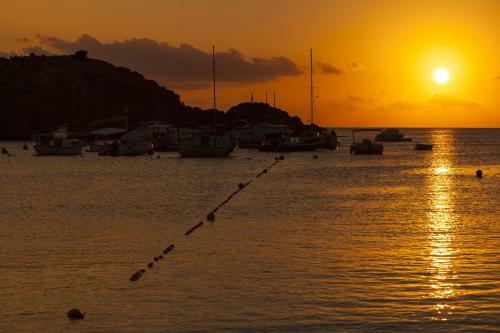 This property also has one of the top-rated locations in Cala Vadella! Guests are happier about it compared to other properties in the area. When would you like to stay at Aparthotel Puerto Cala Vadella? Featuring a private balcony, this bright spacious apartment has rustic-style décor. 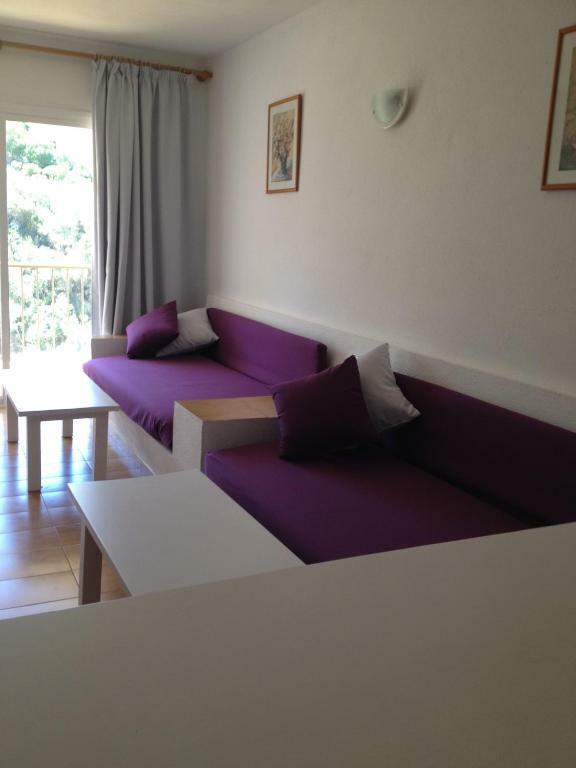 There is 1 double bedroom, a living room with 1 sofa bed, a kitchenette and 1 bathroom. Featuring a terrace with mountain views, this bright spacious apartment has modern décor. There is 1 double bedroom, a living room with 2 sofas, a kitchenette and 2 bathrooms. This bright, spacious studio has a modern décor. It is fitted with 2 single beds and 1 double sofa bed, a wardrobe and a kitchen including a microwave and a coffee machine. There is a bathroom with a bath or shower and a hairdryer. Featuring a private balcony with countryside views, this bright spacious apartment has modern décor. 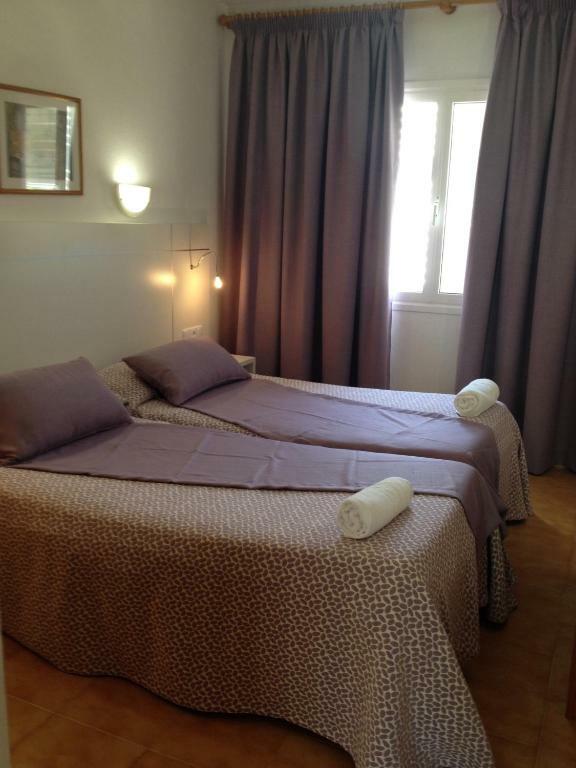 There is 1 double bedroom, a living room with 2 sofa beds, a kitchenette and 1 bathroom. Featuring a private balcony with sea views, this bright spacious apartment has rustic-style décor. There is 1 double bedroom, a living room with a sofa bed, a kitchenette and 1 bathroom. Featuring a private balcony, this spacious apartment has rustic-style décor. There are 2 double bedrooms, a living room with a sofa bed, a kitchenette and 1 bathroom. Featuring a terrace with sea views, this bright spacious apartment has modern décor. 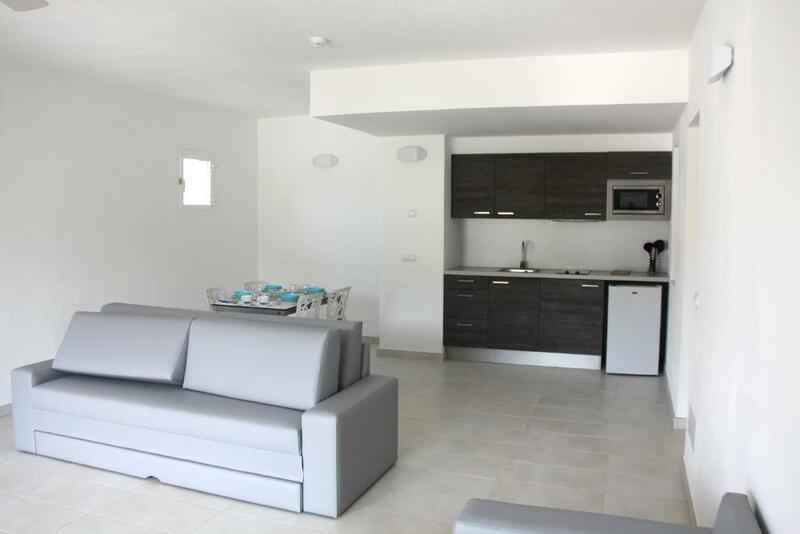 There is a double bedroom, a living room with 2 sofas, a kitchen area and 2 bathrooms. This bright, spacious apartment comes with 2 single beds and 1 sofa beds. It features a seating area with a TV, a dining table and a kitchenette with a fridge. There is a bathroom with a bath. Renovated apartments with terrace with sea views. 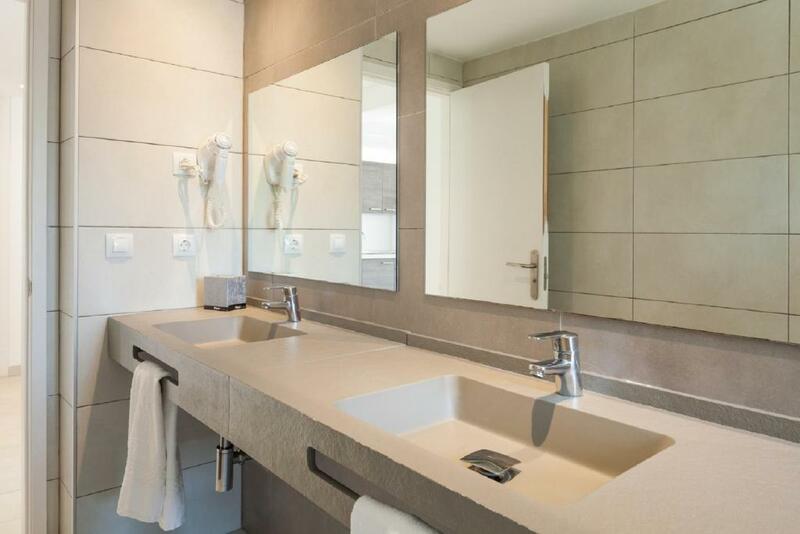 The apartments are bright and spacious, decorated in a modern style. From your balcony you can sip your tea and relax with a lovely sea view. House Rules Aparthotel Puerto Cala Vadella takes special requests – add in the next step! Aparthotel Puerto Cala Vadella accepts these cards and reserves the right to temporarily hold an amount prior to arrival. P.s the only low was no ATMs working around the area and not many transport connections at this time of the year April. We stayed on the last week of the season and the kitchen shut for evening food three days before we left also for the last two days the bar was shut before 8pm. The shop wasn’t open at all while we were there and given the only other shop on the resort was also closed we had to drive out to get supplies. For future reference it may be worth advising customers a limited service will be running. The showers head were dirty. Wifi is poor!!! very friendly and helpful staff. great view from the apartment. The apartment was clean, modern and comfortable. Hob was poor (we didn’t use much), food was generally good - some decent muesli would be a good breakfast addition, also better teabags and fully boiling water for us British tea addicts. I’d also suggest do a deal with the car park e.g €15/week. Location, staff friendly and provide excellent service, very good value. There was a container in the shop in the shape of a young black person that held some sweets or cakes for sale and I felt quite uncomfortable with it as it was portraying a black person in a derogatory way. I thought it was a bit racist. Staff very friendly and helpful. Cleaners daily. For anyone wanting a quiet chilled holiday it was perfect. The staff at the hotel were really friendly and helpful. Lack of designated parking for guests. Few free spaces are available in vicinity but in high demand. Either use car park across road (€3.50 per day) or return after 5pm when beach is less busy. Travel wardens are active in this location so familiarise yourself with spanish highway rules/regulations!!! Appartment is perfectly located in a quiet cove which is easily accessible by car or public transport from the airport. The apartment was clean and the complex was well run and organised. I particularly appreciated the daily maid service. I would definitely return. 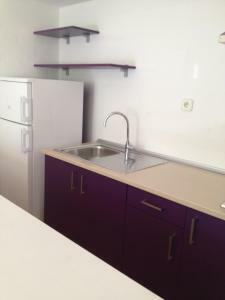 Nice staff, very spacious aparment with nice terrace. Next to the beach.